Governor Chris Sununu banked on sports betting generating $10 million for the state his proposed budget. And by a 3 to 1 margin, the House voted to let the New Hampshire Lottery Commission oversee up to 10 locations with legal sports betting. All sites would need local approval. Democrat Richard Ames of Jaffrey told colleagues that wagering on sports is already happening. "Legal prohibition of sports betting has failed. 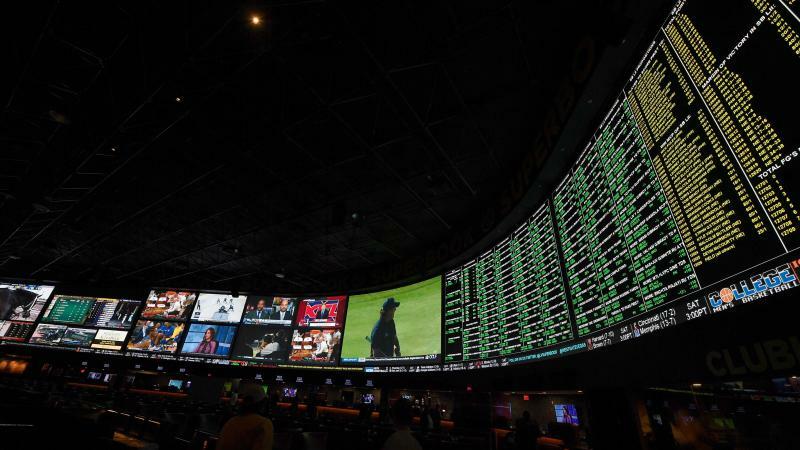 House Bill 480 will bring sports betting out of the shadows, and provide appropriate rules of the road for all sports betting participants," Ames said. Those rules include a prohibition on betting on high school sports or most events involving college teams from New Hampshire. The proposal now moves to the state Senate. Copyright 2019 New Hampshire Public Radio. To see more, visit New Hampshire Public Radio. The Supreme Court threw open the door to legalized sports betting on Monday. By a 6-3 vote, the court struck down a 1992 federal law that effectively prevented most states from legalizing sports betting. "Congress can regulate sports gambling directly, but if it elects not to do so, each State is free to act on its own," the court wrote. MGM Strikes Gambling Deal With Pro Basketball. Will Massachusetts Play Along? MGM Resorts has announced a gambling partnership with the NBA and WNBA. But don't look for betting on basketball at MGM’s new Springfield casino anytime soon. How's The Springfield Casino Doing? It's been more than six months since the MGM casino in Springfield opened its doors to thousands of gamblers, and curious pedestrians. Here’s a look at some of the casino’s early successes and challenges, and what it all means for Springfield and the state of Massachusetts.